We have two mother-daughter buddy-reads this week that we're pretty excited about. 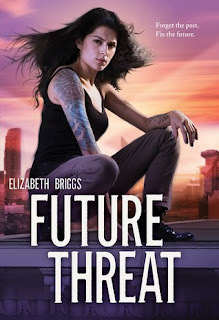 Last year, we did a mother-daughter review of Future Shock, and we can hardly wait to dive into the sequel, Future Threat! Next up will be The Bone Witch, which has us intrigued, though we've been seeing some mixed reviews. Oh my! What a perfect book to read this week. And look at those lovely covers! I hope you enjoy book 2 just as much as book 1! 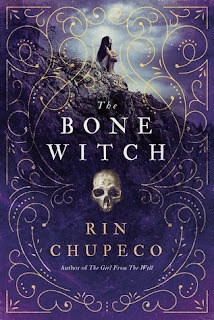 Love the cover for Bone Witch! :) Happy reading! I have seen mixed revies of the Bone Witch so I will be curious to see what you two lovelies think. Have a fantastic week. That cover for The Bone Witch is ridiculously pretty! Please report back to me on that one... I am super curious about it! The Bone Witch is rich in descriptions and slow paced, but I enjoyed it and plan to continue.